Professor Kaarin Anstey joins NeuRA in January 2018 to lead an innovative multi-disciplinary team addressing ageing research, with a focus on vital community lifestyle solutions around dementia in the Australian community. Speaking about her new appointment, Prof Anstey said, “I’m looking forward to expanding my research programs on the epidemiology of cognition and dementia with a focus on identifying lifestyle, brain, and biological risk factors that lead to cognitive decline, and the impact of cognitive ageing on everyday function and safe driving in the individual and broader community. “I am also interested in how cognitive decline impacts on the capacity individuals have to make good decisions about their finances and health. I look forward to working more closely with new and existing colleagues,” said Prof Anstey. 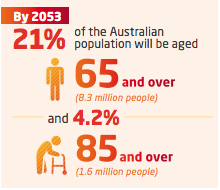 In context, by 2053, 21% of the Australian population will be aged 65 and over (8.3 million people) and 4.2% aged 85 and over (1.6 million people). This unprecedented demographic shift will result in dramatic changes in the need for health and care services. It highlights a critical need for preventive health approaches and interventions to enable older adults to retain their independence. 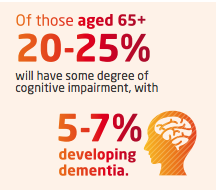 Of those aged 65+, 20-25% will have some degree of cognitive impairment, with 5-7% developing dementia. Prof Anstey believes there is huge scope for research to improve how people age through preventive health strategies, the use of technology and specific skill training. 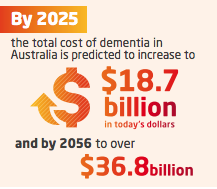 Using psychological and population health approaches, her research programs focus on interventions to reduce risk of dementia, cognitive ageing and decision-making, interventions to improve driving skill, and longitudinal studies of health and ageing. Over the next five years, Prof Anstey will focus on four key projects including: the development of a global research network for dementia prevention and building the evidence-base on risk and protective factors for cognitive decline and dementia; physical and mental resilience in ageing; how cognitive decline impacts on decision-making; and how to keep older drivers on the road for longer, safer and more independent.